Ribbon Blender that we offer is globally appreciated for its superior technology & acceptable price range. It is widely used for mixing dry powder, which is usually a free flowing solid substance. Our ribbon blender fabricated in well equipped infrastructure is definitely worth buying & a very profitable industrial investment. These are proven agitator construction based blenders that help in providing triple mixing action, which ensures efficient blending. 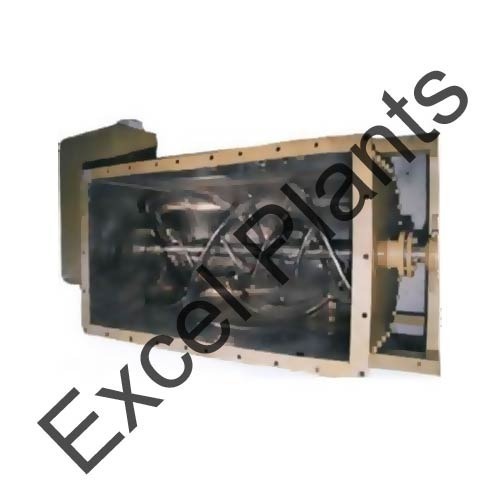 These blenders are precisely designed to impart the complete linear and radial motion for effectively mixing the homogenous material. We offer them in different configurations and can be customized as per the preferences. The Industrial Ribbon Blender is an efficient and versatile blending machine for mixing of dry granules & powders homogeneously. Approximately two third of the volume of the container of Ribbon Blender is filled to ensure proper mixing. 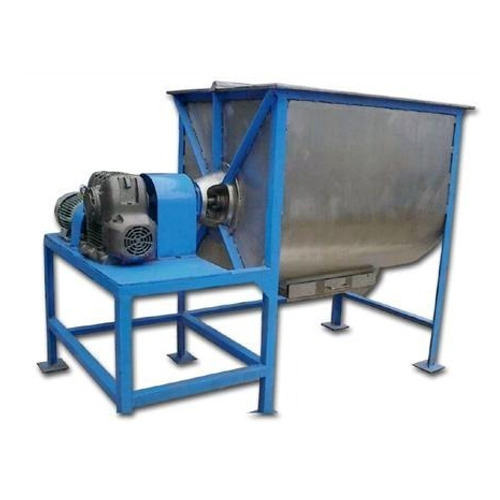 The Ribbon Blender gives best result for mixing of dry powder & granules due to the design and shape of the mixing ribbon and product container. Ribbon Blade is widely used in ribbon blenders for mixing various pharmaceuticals, food, herbals & chemicals. Our rage of blade ensures homogeneously mixing of ingredients very efficiently. This blade is fitted inside the ribbon blenders to lift and tumble material. We also offer Ribbon Blade in Two Parts. 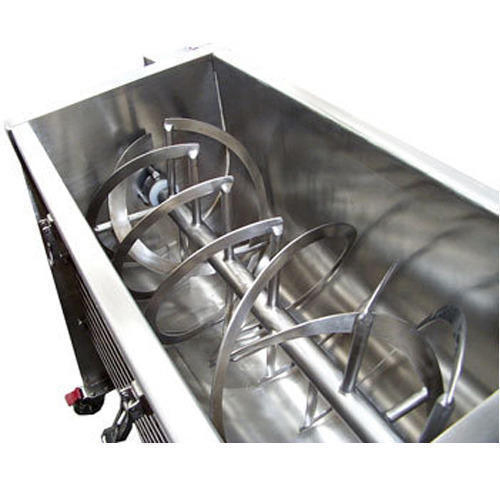 This range has outer blades to push the material to the center of the blender while the other inner blades simultaneously push the material to either ends of the container. It provides for better mixing of the materials. Our range of ribbon blade is specially designed for efficient mixing of powders, pastes and liquids in both continuous and batch processing.